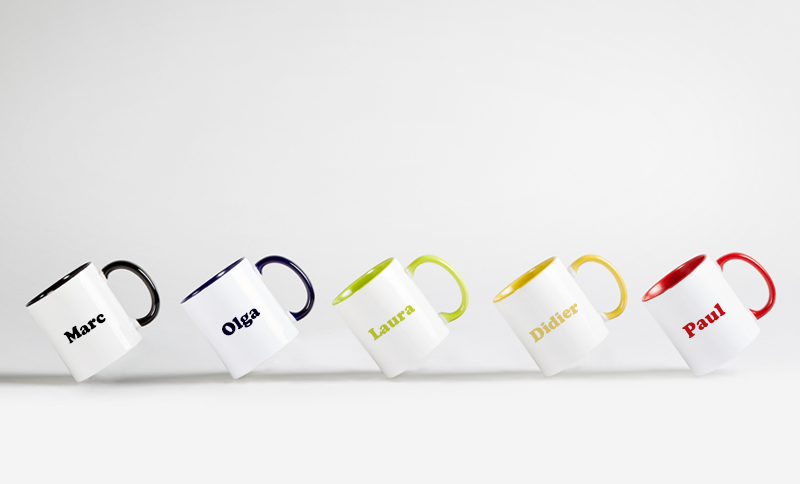 When choosing personalised mugs, one of the most popular ideas among small and medium-sized companies is to create mugs with the names of their employees. It's a creative idea for giving gifts away to all of your employees, both those who've worked in the company for a long time and new ones. This way, not only will everyone receive a gift from the company they work for, they'll also be receiving a personal item which will be personalised with their own name. Not to mention, thanks to the numerous personalisation options, you can add the logo of an organization, a motivational quote or any other creativity related to the brand, thus highlighting the gift receiver's name even more. This is the case with the start-up company Travel Perk, who decided to give each of their employees a mug with their name printed onto it. The design that they choose was simple but effective: the name of the employee is printed along with the Travel Perk logo onto each mug. The possibilities are endless: as well as being able to be creative with printing, you can also choose different colours for your mugs and, for example, choose one for each department or area. Red mugs for Marketing, green for Customer Service, blue for Development, etc. 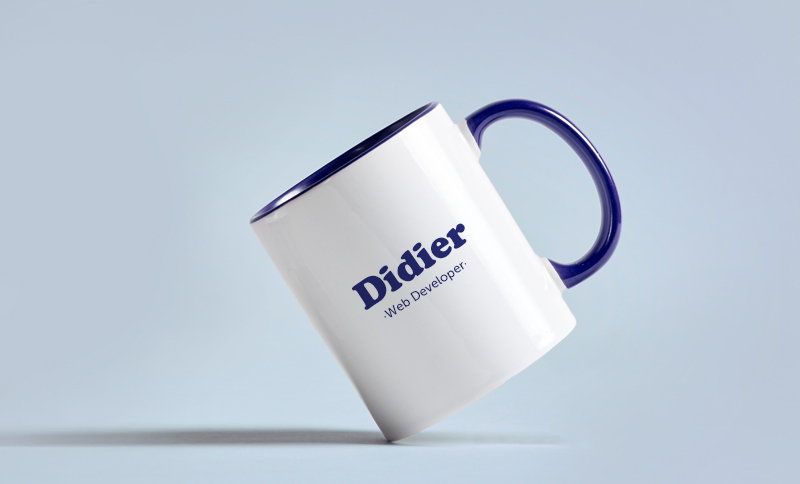 Check out the options at your disposal for creating mugs with your logo and impress all of your colleagues.